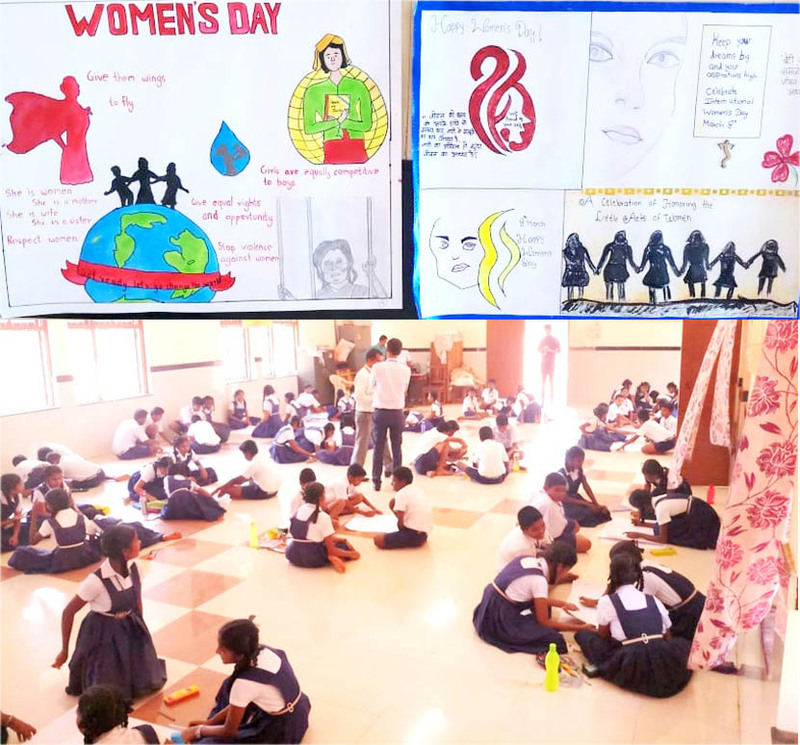 Don Bosco College of Engineering under Unnat Bharat Abhiyan Scheme organized Poster Making Competition for students of Government High School, Balli, Goa under senior (Standard VIII-X) and Junior category (Standard V-VII) on the occasion of Women’s Day March 8, 2019. Vidyadatta Naik, the headmaster of Government High School, Balli, welcomed the UBA team: Prof. Gaurang Patkar, Prof. Yeshudas Muttu and Prof. Sweta Morajkar & appreciated them for taking this initiative that will make students work & bring the best out of them. The event received a good response with the active participation of 60 students. Students were creative enough to highlight various phases in Women’s life and the improvement that can be done by every individual to treat women respectfully in society. Students were appreciated and felicitated with the prizes under each category for the beautiful posters made.